WASHINGTON, DC, August 29, 2013 (ENS) – Environmental advocates delivered a report on the climate effects of the Keystone XL tar sands pipeline to President Barack Obama today, with the intention of giving the President all the information he needs to reject the pipeline. Sierra Club and Oil Change International compiled the report, which finds that the bitumen produced from the oil sands of northern Alberta would push climate change into overdrive. The report concludes that the Keystone XL pipeline is the “linchpin” of further tar sands expansion, and will lead to at least a 36 percent increase over current tar sands production. The “test” was set by President Obama June 25 in a speech at Georgetown University. For the first time, Obama indicated that he might deny the TransCanada corporation the required Presidential Permit to build the controversial Keystone XL pipeline across the Canada-U.S. border. 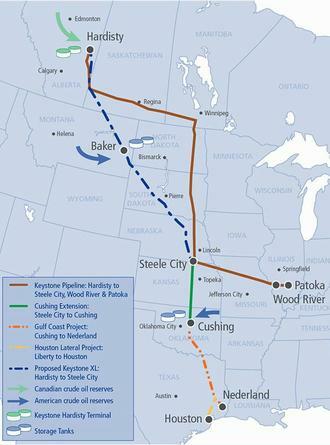 The Keystone XL Pipeline would begin at the oil distribution hub in Hardisty, Alberta and extend 1,179 miles (1,897 km), to Steele City, Nebraska. There it would connect with a southern section of the pipeline to move the heavy diluted bitumen extracted from the tar sands to Gulf Coast refineries. This section is already under construction. Because it is entirely within the United States the southern section does not need presidential approval, but on March 22, 2012, Obama endorsed its construction anyway. Keystone XL Pipeline will have the capacity to transport 830,000 barrels per day of diluted bitumen from Canada and the United States to refineries on the Gulf Coast. TransCanada has set aside one-quarter of Keystone XL’s capacity to transport light crude oil produced from Bakken shale in Montana and North Dakota. 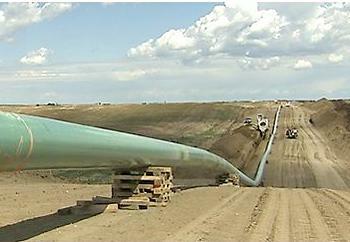 The environmentalists’ new report is based on data from industry and financial experts such as, the Canadian Association of Petroleum Producers, the Royal Bank of Canada, the International Energy Agency, the American financial services company Standard & Poor’s, the government of Alberta, Scientific American, the Financial Post, and TransCanada, the company that has applied for the Presidential Permit required for the pipeline to cross the Canada-U.S. border. National environmental and citizens groups delivered the report to the White House, while regional affiliates carried out similar events in California, Maine, Massachusetts, Nebraska, New Hampshire, Oklahoma, Texas, and Virginia. The report finds that in order to stabilize global climate change, a substantial portion of known fossil fuels must remain unburned. “Frankly, I can’t believe we have had to write yet another thoroughly researched report to dispute the oil industry’s ridiculous assertion that a giant pipeline to the dirtiest oil on Earth won’t significantly increase carbon emissions” Steve Kretzmann of Oil Change International told reporters on a conference call today. “Big Oil will ignore the real issues here and instead respond with expensive ad campaigns and quiet conversations in dimly lit rooms. We’re confident the President will decide this issue based on the facts, and reject this pipeline,” said Kretzmann. Industry and financial analysts have repeatedly confirmed that Keystone XL is critical to the expansion of tar sands development in landlocked Alberta, because it would provide the industry with a major low-cost connection to export markets and world oil prices, the opposing groups point out. “Our message with this report today is clear – the rampant burning of treasures like Yosemite is not in our national interest, and neither is the Keystone XL tar sands pipeline,” Anna Aurilio, DC office director at Environment America told reporters today. The President’s decision on the pipeline permit was pushed back to sometime in 2014 by a second investigation by the State Department Office of Inspector General into conflicts of interest and misrepresentations by those charged with assessing the environmental and climate impacts of the proposed pipeline. The U.S. State Department is tasked with evaluating whether or not the pipeline is in the U.S. national interest, but State Department personnel have not conducted the analysis themselves. Instead, they have contracted it out. The first Environmental Impact Statement issued in 2012 was investigated by the State Department Office of Inspector General after allegations of conflict of interest on the part of the contractor, Cardno Entrix. Conflicts were found. A Supplemental Environmental Impact Statement, SEIS, was required by a change of the pipeline’s planned route through Nebraska to avoid the environmentally sensitive Sand Hills, which lie over the Ogllala Aquifer, source of water for most of the Midwest states. A different contractor, Environmental Resources Management, was selected for the SEIS. When this assessment also concluded that no significant impacts were expected, the U.S. Environmental Protection agency criticized the SEIS and 11 citizens’ groups called for another investigation. Red flags went up when ERM claimed on government conflict of interest disclosure forms that it had no relationship with TransCanada or any other entity with a stake in the project “in the past three years” despite working for TransCanada and other oil companies with a stake in the Canadian tar sands. Unredacted documents revealed proof that ERM had worked for TransCanada during that three year period and lied to the State Department to conceal this work. On Saturday, September 21, groups opposed to the pipeline will be holding anti-pipeline demonstrations across the country. 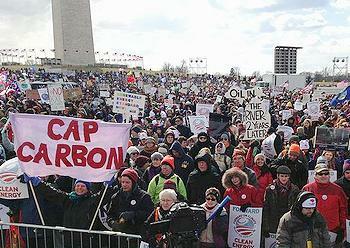 The day, called “Draw the Line,” will feature large rallies planned in areas already affected by climate change and places at risk if strong action, such as limiting tar sands development, is not taken. More info is at 350.org.